Welcome to my tour of Candlestick Park, aka 3Com Park. My family and I will lead you from highway 101 to the stadium, through the locker room, the dugout, and all around this grand old park. 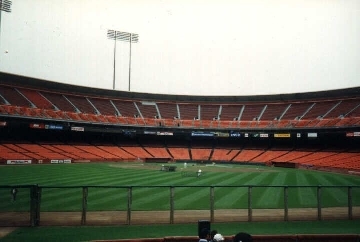 This was the view from left field before the bleachers were put in.